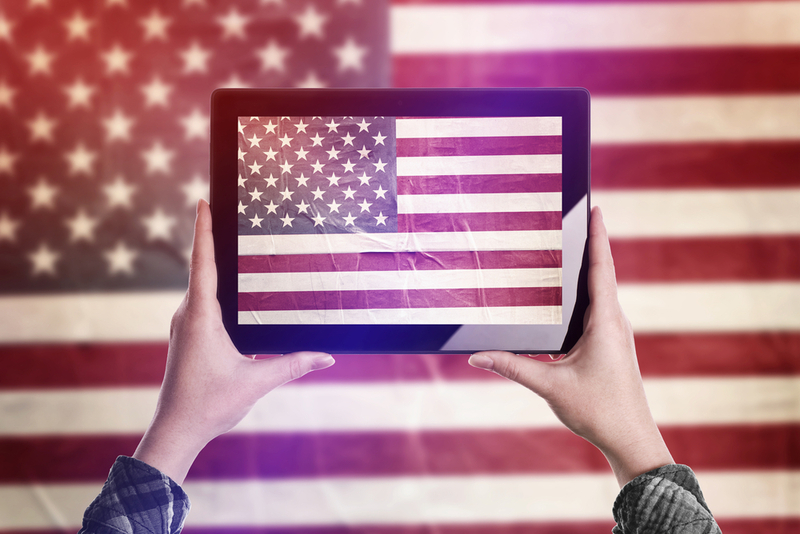 Many of us have citizenship on the brain this Election Day, but schools need to be preparing young Americans to be good digital citizens every day of the year. Teachers have long been tasked with instilling students with the basic tenets of citizenship — voting foremost among them. In fact, a survey from Common Sense Media shows that students trust their teachers far more than they trust the media or other outside parties. But with that trust comes the responsibility to teach students to think critically and behave responsibly inside and outside the classroom. In many ways, today’s educators face an even more challenging task. Because so many students spend large portions of their time on phones, tablets, and computers, today’s educators must also teach “digital citizenship,” that is, the best practices that every American young and old should employ in order to be safe and effective internet users. While young people may surf the internet and use social media with ease, protecting themselves — and others — while doing so isn’t always at the forefront of their minds. As such, it’s educators’ responsibility to help students navigate the internet with respect, safety, and knowledge. Cyberbullying has become an incredibly hot-button issue in recent years, largely because many students have difficulty understanding the effects of the words they use online — it’s far easier to tease, insult, or mock someone through a screen than in person. While schools should have clear rules and procedures for preventing — and, if necessary, punishing — cyberbullying (just as they do for regular bullying), teachers should also offer guidance and facilitate conversation about the ramifications of this behavior. Additionally, students should be taught to treat themselves with respect online. Young people often have a hard time grasping the size of their audience and the permanence of their online activity, and may release pictures or words into the digital realm that they’ll soon regret sharing. Teachers should emphasize to students that once they put content on the internet, it can be incredibly difficult to remove it — and potentially impossible to undo the damage. Digital tools can be both remarkably instructive and a lot of fun. Inside the classroom, digitally-savvy teachers can use tablets or Chromebooks to bring a lesson to life and further students’ learning, whereas outside of school, students can use phones and computers to play games or keep up with friends. However, it’s important for students to understand that digital tools aren’t toys, but powerful devices that can expose them to a number of potential threats. Students need to be able to recognize when someone is trying to steal their personal information online or access them in real life. This requires understanding how to identify things like phishing scams as well as maintaining a “stranger danger” mentality in both the online and offline worlds. Data security is of the utmost importance, as well, as schools are among cybercriminals’ most common targets. Schools need to do everything they can to keep their networks safe, and that begins with teaching students — as well as teachers, staff, and administrators — how to craft sufficiently complex passwords and secure their school and personal devices. While today’s students are very familiar with social media, many of them don’t have much experience using the kinds of digital tools that are frequently used in a university or professional setting. Teaching them how to use tools like G Suite and Microsoft can be invaluable for their college and career readiness, as can exposing them to critical workplace concepts like email courtesy. That said, knowledge doesn’t merely encompass the ability to use tools. Students should also learn to differentiate between reliable and unreliable media sources. Teachers should help students develop fact-checking skills that will enable them to tell when a source of information may be suspect. This skill-set is applicable not only to news and information, but to ecommerce, as well. Plenty of websites are eager to take consumer credit card information without actually providing anything in return, and students need to be able to identify these kinds of scams in order to keep their personal financial information safe. Of course, to practice all of these skills, students need access to computers and tablets in the classroom. In turn, those devices need a strong and reliable connection to function properly. If your district doesn’t have a network that you can count on 24/7, consider reaching out to Epiphany. With years of experience designing and implementing networks that are as powerful as they are secure, we can help you ensure that your students leave school ready to navigate the digital world with aplomb.